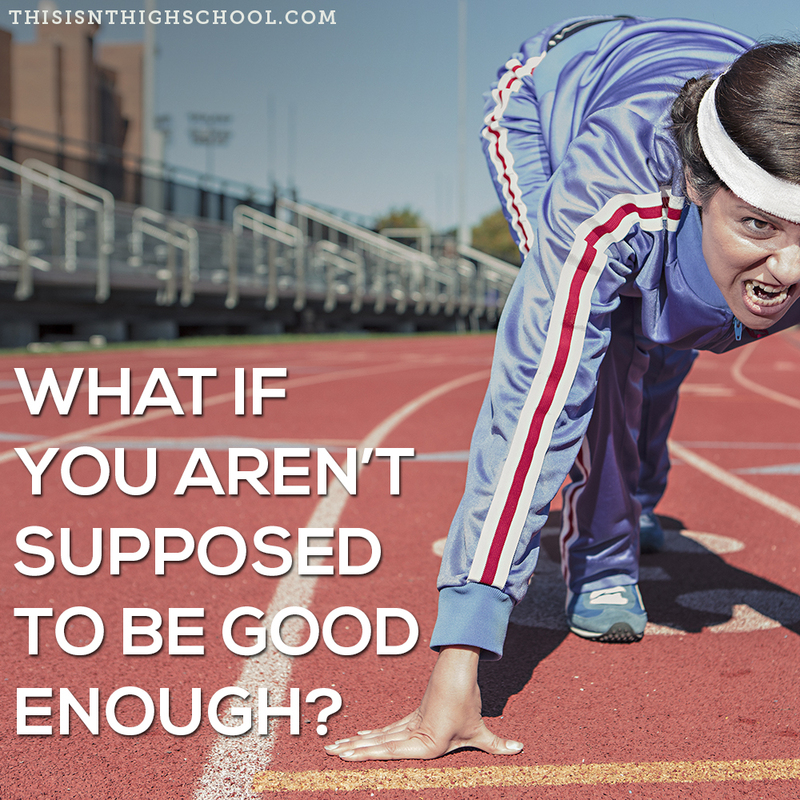 What if we aren’t supposed to be good enough? What if we aren’t supposed to know what we’re doing? What if the entire point of life isn’t to be smart enough or talented enough, but simply willing to try? What if failure is okay? What if failure is even encouraged? What if failing only meant not trying? What if it’s not about feeling safe? What if it’s about being scared to death to try but even more scared not to? What if this whole thing is less about our ability and more about God’s glory? What if he has an incredible part for you to play that no one else can? What if someone else needs you to play your part so they can play theirs?